2013 1.4T 6 speed manual, sometimes it wouldn't shift into 2nd but grind and I'd have to push the shifter back to neutral then shift again to get to 2nd. Recently noticed that when I went from a stop on an incline it would do it more then. And a few times it has grinded shifting to 3rd and 4th, but just a small grinding noise and goes into gear for those two gears. 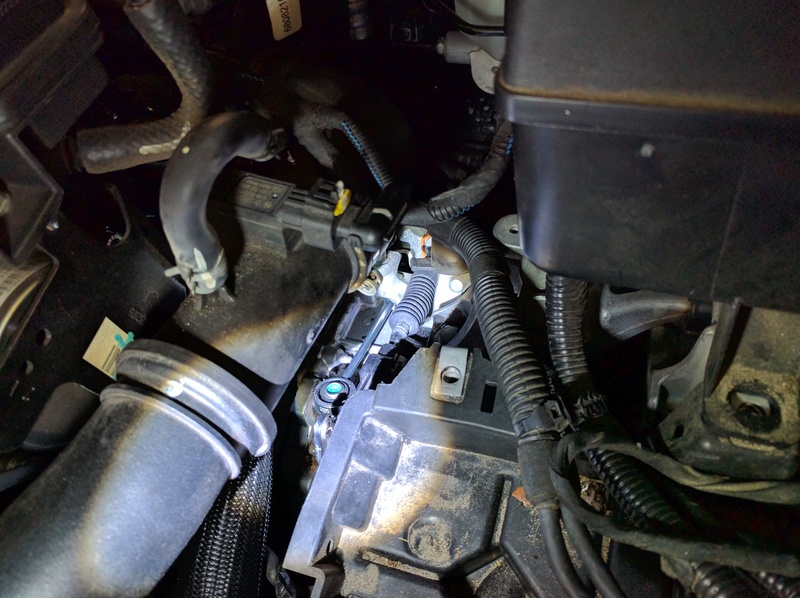 Took it the dealer and they said they couldn't duplicate the problem but the technician saw that the shifter cable that connects at the trans was broken. 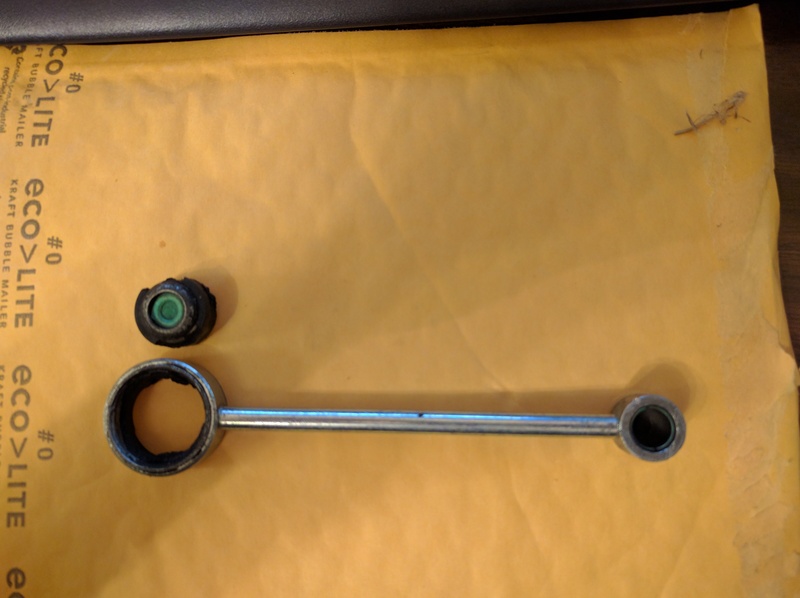 I looked at it myself today, just got my car back from dealer today, and was able to see that the bushing is still on the small knob but is broken from the linkage, you can spin the bushing any direction all the way around. I suppose that could cause a grinding noise at times, since the gear might not be fully engaged. I've been trying to find a replacement bushing, since the dealer wanted $700 to replace the cable (over 200 for the cable) and apparently you can't get the bushing separate thru Dodge, they only sell the whole cable. Does anyone know where to get a replacement bushing, or even an upgraded one? I've really only been able to find the bushings that the actual gear shifter sits on. Those bushings are for the base of the gear shift, not the end of the cable that I need. I bought an entire replacement manual shifter assembly for like $150 on eBay. It was my backup if my short-shifter project failed, but I'm keeping it if I ever want to go back to stock. It's fairly easy to swap out the assembly, you just have to be gentle removing the linkage. I found aggressively moving it will cause grinding issues if it gets moved around, and it doesn't take much. My guess is that's what your trouble is with the grinding, but even when I was being careful it was very hit-or-miss with unpredictable results. pkgmsu2000 and longtimemopar like this. Here's a picture of the bushing, I'd rather not spend $150 on a whole cable when the problem is just the bushing at the end of it of hat can be helped. You really don't have much of a choice. eBay or scrapyard is your best bet. You're not going to find that specific part anywhere except a scrapyard, and you'll have to dig for it. Is it the green part or the black part? I'm not seeing anything wrong there. The black part means you'll need a new linkage cable (is that thing even removable? ), and the green part a new shifter assembly. Good picture. The cable end/bushing presses on to the shifter linkage? Looks similar to the bushings on my '98 Neon that needed to be replaced more than once. 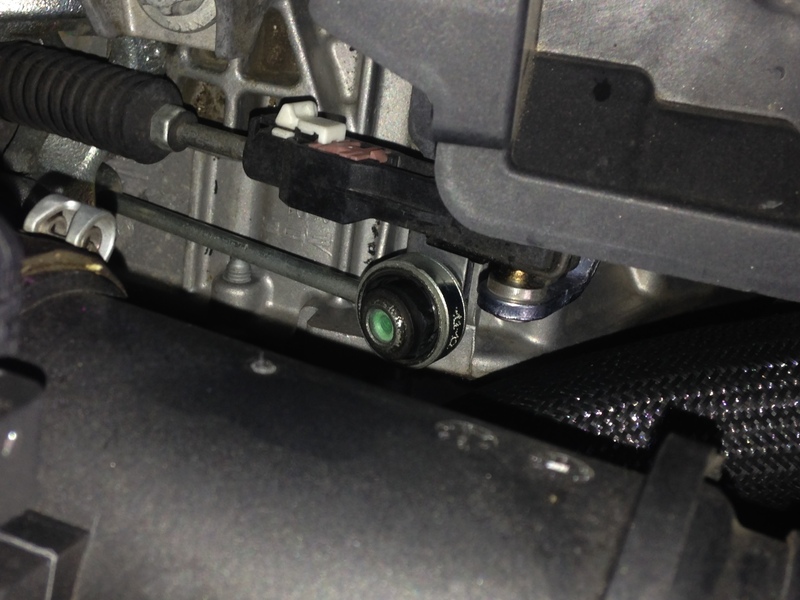 Seems like some kind of modification could be done to the end of the shifter linkage or bushing. Short metal rod approx 6" long with bushing at each end --- "the green part"
Note: this is not the cable end it attaches to a pivoting bracket that attaches to the one of the cable ends. longtimemopar, pkgmsu2000 and marg_fan like this. can you kindly share the part numbers with the ORG? marg_fan and longtimemopar like this. Ditto. Please share the part number. Front center squeak, shifter cable maybe? New possibilities for manual shifter knobs!! Shifter Linkage Cable (for Manual transmission) is on national backorder!